During the late 1970s Trevor and Christine Adams started their own tyre breakdown service in Stoke-on-Trent. Dedication to customer service and satisfaction led to a strong and loyal customer base of local plant contractors. A strong reputation proliferated via word-of-mouth soon brought about too much work for Trevor to handle alone. Trevor’s brother, Derek, joined the team, new premises and additional fitting staff were engaged that allowed additional local business demand to be met along with wider ranging work around the country. T&C Hire was started in 1986, indicative of the focus shift towards high quality machine and technician services. A high quality service and dedication to satisfaction and safety enabled T&C Hire to expand further. T&C Hire became T&C Site Services in 1987, more accurately portraying the specialism and primary product focus. T&C Site Services became a limited company in 1990. Continued growth and expansion over 20 years sees T&C Site Services Ltd as the largest, independent, earthmover tyre specialist in the UK. Strategic planning has yielded an effective operational coverage of the UK mainland. 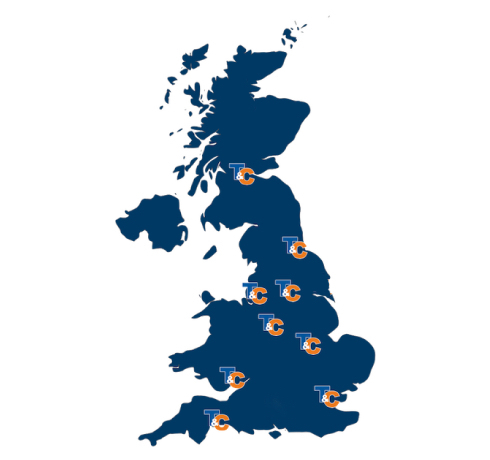 Employing over 50 people and operating 12 regional depots allows T&C Site Services Ltd to provide the same high quality service nationally as it has done locally for many years. The feeling of a high quality local service anywhere in the country is what T&C Site Services Ltd represents. T&C is an independent, professional and specialist company. Service is a core value. The people that provided a loyal, dedicated service at a local level are the same people delivering the philosophy on a national level – and you can even talk to them!